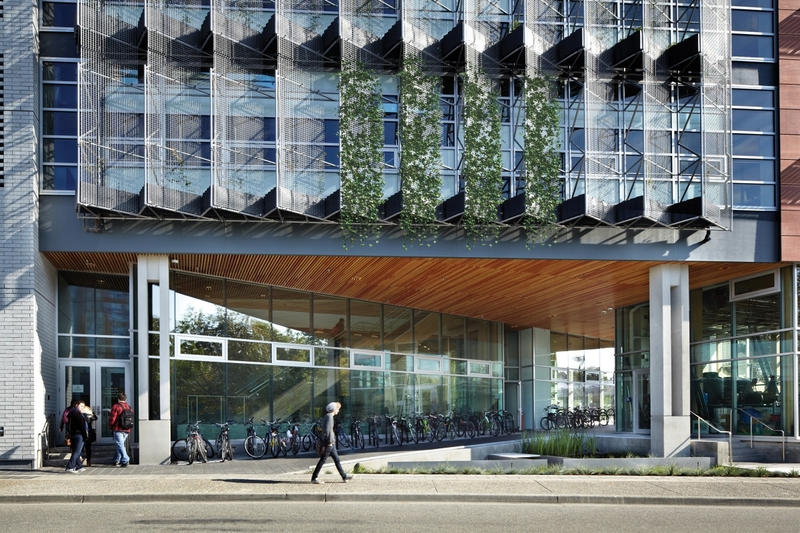 The Centre for Interactive Research on Sustainability (CIRS) at the University of British Columbia (UBC) was completed in 2011. 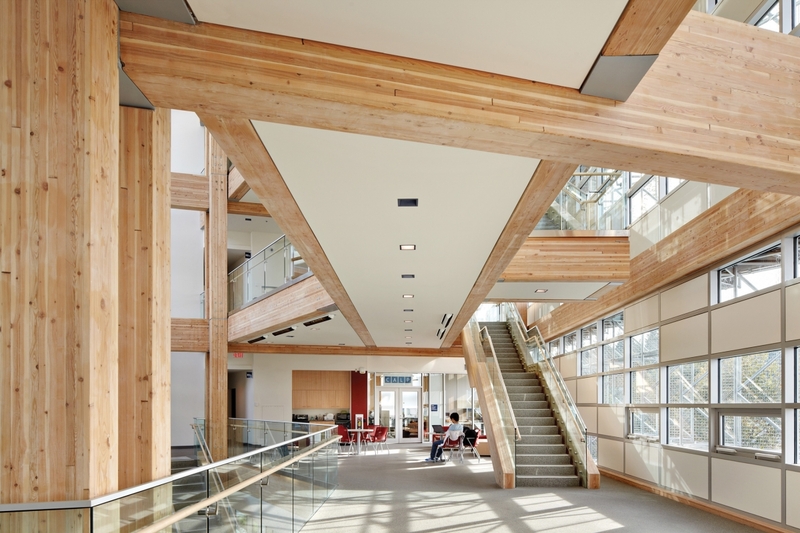 The architect is Peter Busby, FRAIC, of Perkins + Will, a global architecture firm with offices in Canada. 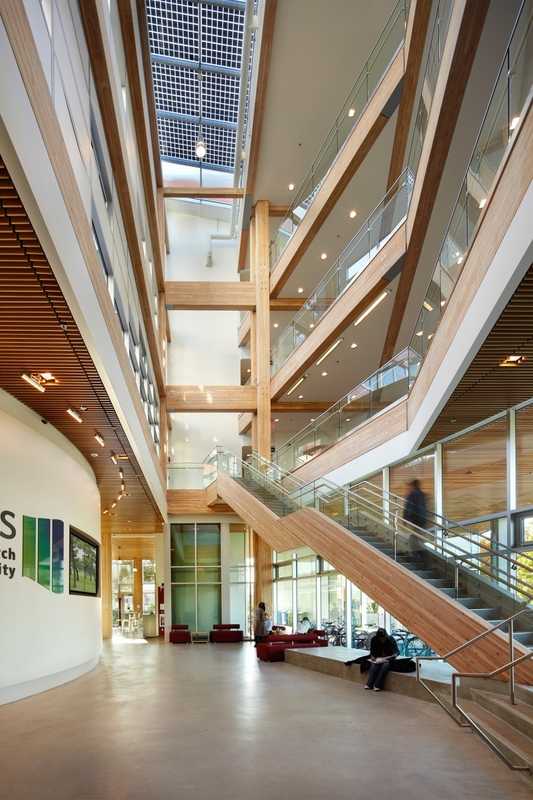 Conceived by Nobel laureate and UBC environmental scientist John Robinson, the CIRS is an internationally recognized research institution whose mission is to accelerate the adoption of sustainable building and urban development. 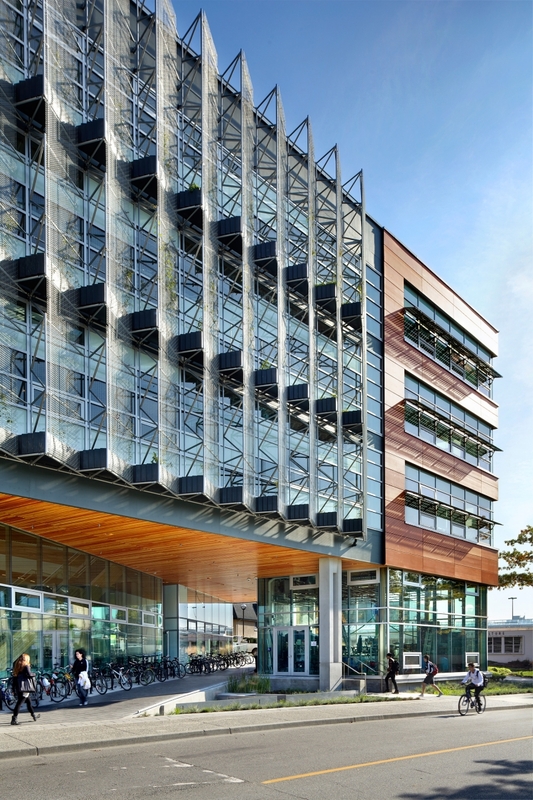 The LEED Platinum certified building houses 200 people from private, public, and non-government organization sectors who work together to advance innovation and implementation of in sustainable technology and building practices. 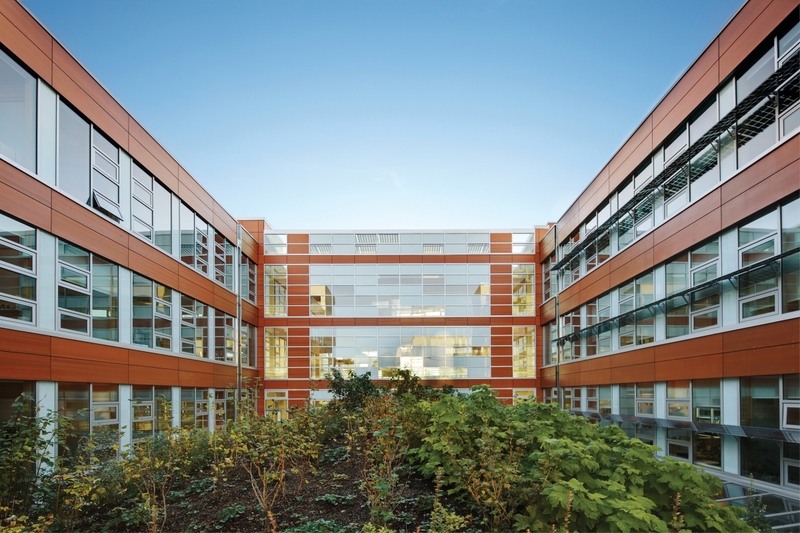 The 5,675-square-metre structure is one of the few buildings worldwide that is considered regenerative. 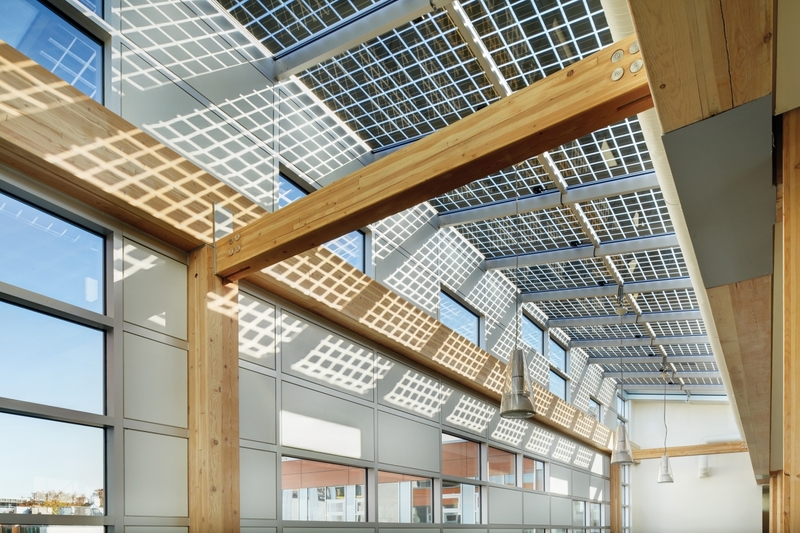 It achieves net-positive energy, net-zero water, and net-zero carbon in construction and operations. 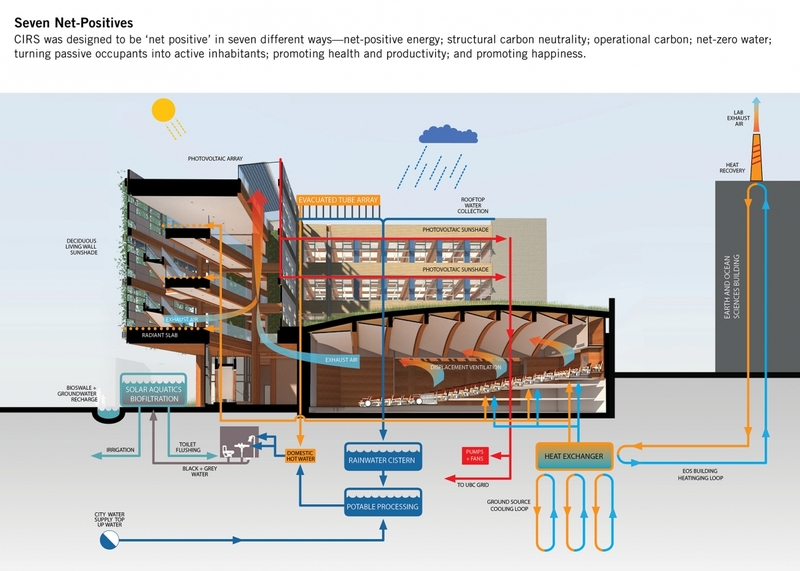 Pursuing the Living Building Challenge,the built environment's most rigorous performance standard, the CIRS harvests sunlight, captures waste heat from a nearby building, and exchanges heating and cooling with the ground. 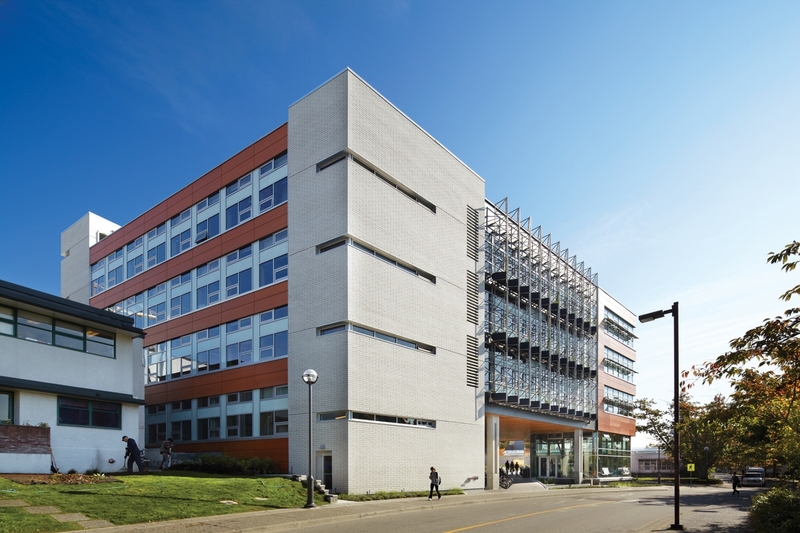 It returns 600-megawatt-hours of surplus energy back to campus while removing 170 tonnes of greenhouse gas emissions annually. 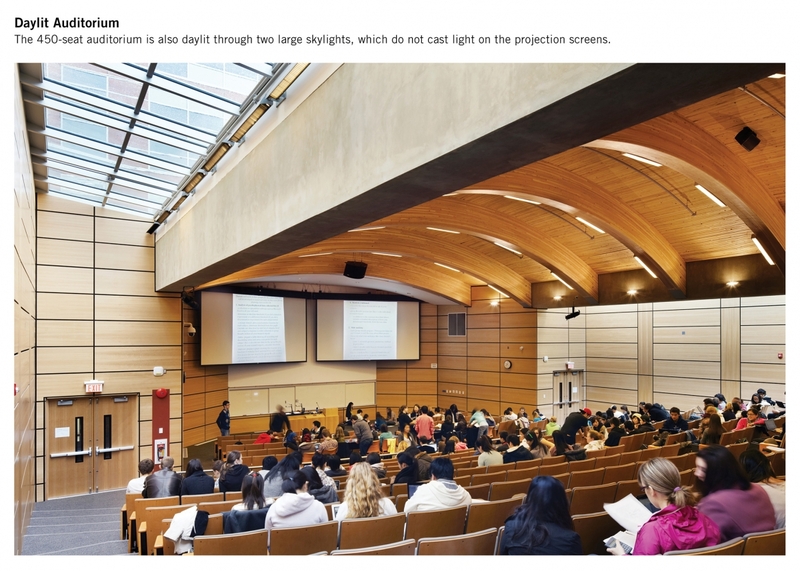 “With a strong focus on natural light and ventilation, the CIRS integrates a full range of sustainable design strategies,” said the three-member jury.